I. Skate Skiing: Do you want to learn how to skate ski efficiently? If so, we invite you to sign up for a clinic! 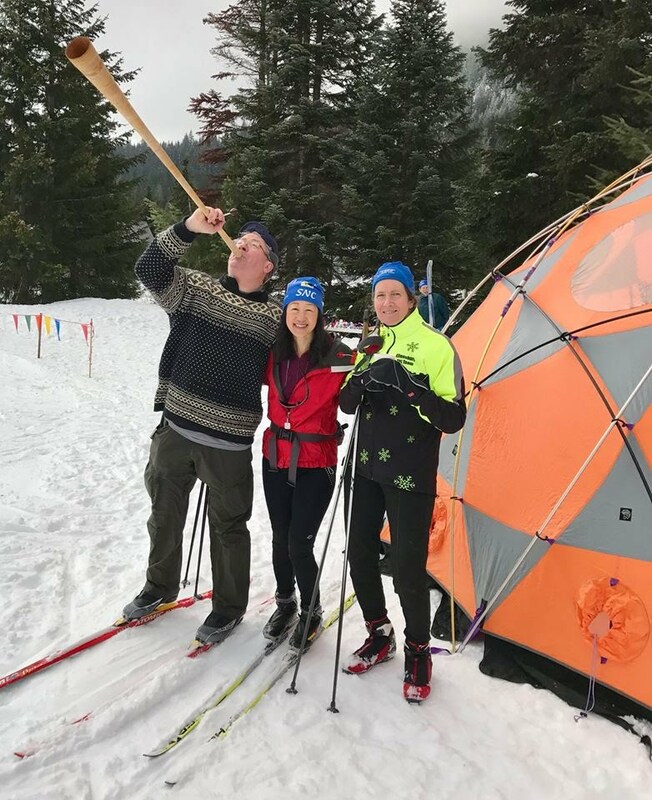 Ascent Outdoors in Ballard is now renting Nordic gear. Please check them out first as they are our preferred Nordic partner! This is an introductory clinic for those of you who have no or very little skate skiing experience, or if you have some experience and want to improve your basic skills. 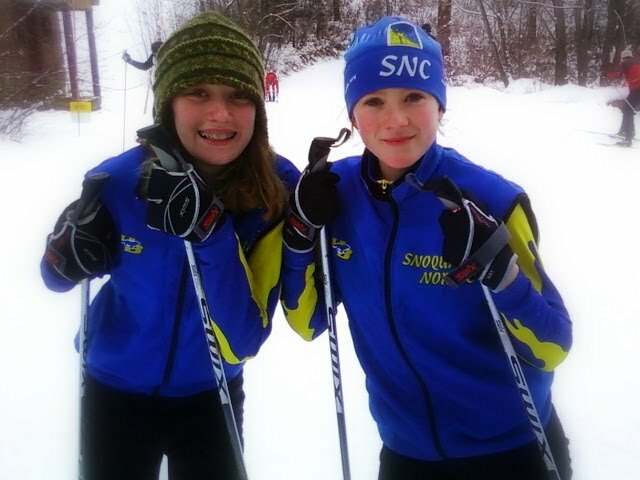 We will concentrate on learning the V1, and cover Nordic skiing basics. Meet at the Hyak Sno Park Residence on the Northeast side of the Hyak Sno Park parking lot (look for a black Subaru Outback w/ silver rocket box). The clinic runs from 10 a.m. -12:30 p.m. Please fill out the Skate 101 Registration Form and send it and the fee to be received by the Friday before the clinic. Or, contact Marla at marlajh@aol.com and bring the registration form and the fee with you to the clinic. You may also pay using the Pay Pal button below. Intermediate's Clinic - Skate 102: Sunday, Feb. 3, 2019 Postponed! Please check back for future dates and/or see Note below to inquire. This clinic is for more advanced skate skiers who want to learn the V2/V2-alternate and transitioning for flat terrain skating. We offer optional video-analysis to all participants. Meet at the Hyak Sno Park Residence on the Northeast side of the Hyak Sno Park parking lot (look for a black Subaru Outback w/ silver rocket box). The clinic runs from 10 a.m.-12:30 p.m. Please fill out the Skate 102 Registration Form registration form below and send it & the fee to be received by the Friday before the clinic, if you have not already filled it out for the Beginner's Clinic this season. You may also pay using Pay Pal button below. NOTE: If you have taken the Beginner's Clinic, please send an email to marlajh@aol.com to indicate you plan to attend, print off the waiver, sign it and bring it and the fee with you to the clinic. Hills, Hills and More Hills Clinic: Saturday, March 2, 2019 - Please meet inside Old Milwaukee Lodge at 12:30 p.m. with your ski pass in hand. This clinic is for anyone who has already taken at least the Beginner's Clinic (V1) (preferably the Intermediate Clinic as well) who wants to work on climbing hills! We will cover climbing and descending techniques, transitioning and more. The clinic runs from 12:30 p.m.- 3:00 p.m. If you are interested, and have attended an SNC clinic in the past, please contact Marla at marlajh@aol.com to indicate you plan to attend, print off the waiver, sign it and bring it and the fee with you or pay using the Pay Pal button below. If you have not attended a Beginner's Clinic in the past with us, please send in a registration form in advance (see link under the Beginner's Clinic above) to be received by the Friday before the clinic. 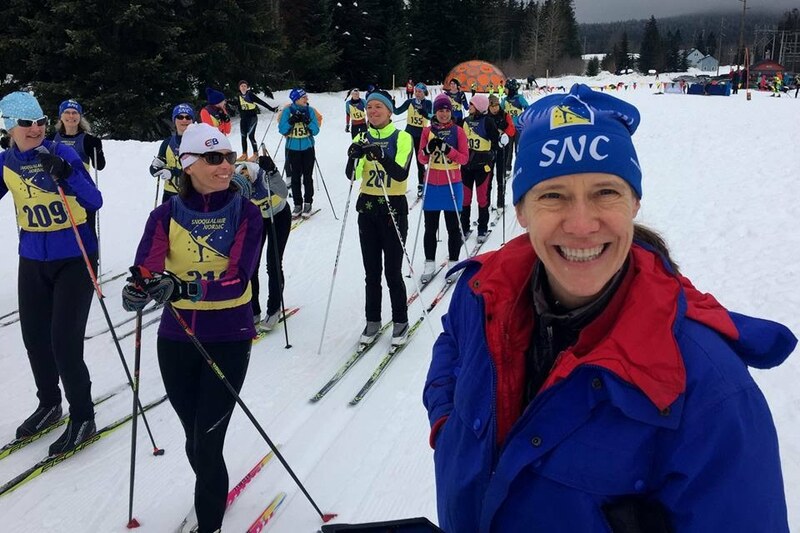 NOTE: You will need to purchase a trail pass for the Hills clinic at the Summit at Snoqualmie Nordic Center inside the Old Milwaukee Lodge. This is NOT the same as a Sno Park parking permit that is required at Hyak Sno Park. Please see the Summit at Snoqualmie Nordic page for more details on the cost of a day pass, etc. II. 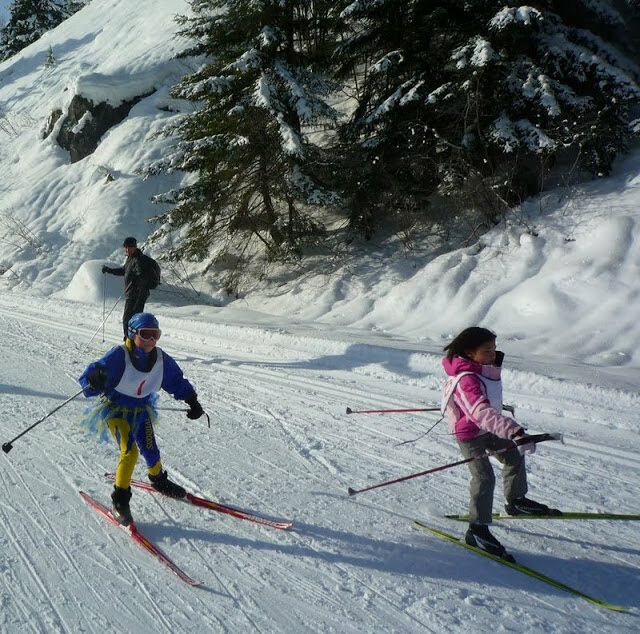 Classic/Traditional Skiing: We currently do not have classic/traditional skiing clinics scheduled. However, a classic/traditional clinic may be scheduled if there is sufficient demand. If you desire individual or group private instruction, please contact Marla at marlajh@aol.com to make arrangements. Updates regarding status of the clinics (i.e., cancellations due to road closures/weather, etc.) will be posted here.